Fannie Mae and Freddie Mac: Who are they? You may have heard the Names “Fannie Mae and Freddie Mac” while dabbing into the mortgage world and have asked yourself, “Who are they?” In short, Fannie-Mae and Freddie-Mac are not people, but entities. Fannie Mae and Freddie Mac are called government-sponsored enterprises, or GSE’s, and they play a significant role in the mortgage industry. These roles include buying mortgages from lenders and selling them as securities to investors, as well as making additional home-buying programs possible. Fannie Mae is responsible for the Home Ready program, and Freddie Mac is responsible for the Home Possible program. There will be another blog post about these two programs, as they have different requirements. This section will be about Fannie Mae. Fannie Mae, also known as the Federal National Mortgage Association, or FNMA, was founded in 1938 by Congress. It’s establishment, due to the Great Depression, was to help stimulate the economy by providing mortgages to medium-to-low income borrowers. Despite what people may think, Fannie Mae does not originate loans, which means you will never receive a mortgage directly from Fannie Mae. However, Fannie Mae purchases and sells them on the secondary market. The secondary market is a market where mortgage loans and servicing rights are bought and sold amongst banks, mortgage lending companies, and investors. By doing this, Fannie creates more liquidity for lenders, which allows them to provide and fund more mortgages to borrowers. These mortgages must meet strict criteria, which is may be influenced by the location of mortgage origination. For example, the limit for a loan has a cap, but this cap may be higher in California than it would be in Idaho. 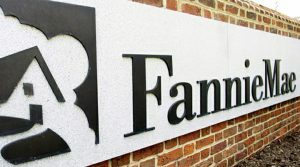 Fannie Mae, after purchasing mortgages on the secondary market, will pool them together to form what is known as mortgage-backed securities, also known as MBS. A mortgage-backed security is an asset-backed security that is secured by a mortgage or collection of mortgages. After the housing market crisis in 2008, Fannie Mae started to focus on Loan Modifications. Loan modifications were created to help change the conditions of an existing mortgage to prevent the borrowers from defaulting. These modifications can be a change to the interest rate, and/or extending the length of the loan, which would both help with lowering monthly payments. Even now, Fannie Mae is still developing programs to help facilitate easier mortgages for the low-to-mid income borrowers. The next blog update will be about Freddie Mac! When your loan processor submits all of the documents required by the conditional approval and your file passes through all of the last checks with the underwriters, you will be ready for closing. This stage is usually called “Clear to close.” The closing process is the last step to receiving the keys to your home. The Closing Process can also be called the “Settlement,” in which you and all parties of a loan transaction sign the necessary documents. Once all parties are able to sign the closing package, this signifies the end of the mortgage loan process and begins the tenure of your home ownership. The loan transaction becoming final, the funds being distributed, and you becoming the home owner all happen around the same time, making you now required to pay back the mortgage loan you just took out. If you paid for the home in full, then the home is now yours, without any other additional conditions. The closing process usually can vary in how long it takes. This can depend on what state you live in, as well as how loan process was done. The closing process can take even a few weeks due to the necessity of having to send the appropriate documents to each entity required to sign and date the closing package. This can add time, versus the “standard” procedure of sitting around the “closing table,” in which all required persons are available to sign and date the closing package. This is a very important step that you understand, as the borrower, the terms of the loan, what the payments required are going to be, and all of the other financial responsibilities that you may need to be aware of for closing. For USDA Loans, this process has one more step before closing. A borrower’s file is sent to Rural Development, which has its own government underwriters that make sure the loan fulfills all of USDA’s guidelines before issuing the clear to close. These underwriters may ask for an additional Bank Statement or an additional pay stub to insure assets and income information coincides with the previous information sent. For example, borrowers with 1099’s, the government underwriter will want to make 100% sure that the income stays around the same amount, and there aren’t any huge variations in either direction. After all parties have signed on the dotted line, the home is now yours! While this is one of the more strenuous processes people will ever have to go through, the result is well worth: the ability to call that dream property you saw yours! At this part of the process, you have your dream home in sights, with an agent you trust to help to be your advocate in negotiations. You have an idea about which loan programs best fits your needs. Now, it’s time to find a lender to loan you the money. You can do this through a bank directly, or through mortgage brokers. A mortgage broker is a company that acts as an intermediary between lenders and borrowers, whether they are individuals or businesses. Mortgage brokers may target a specific audience, as well. For example, some mortgage brokers will only work with individuals, and do not do business mortgages, so be sure to ask when contacting them. At this point, you should definitely shop around with different lenders or mortgage brokers to see who would give you the best rate, without a slew of additional fees. At this point of the process is when you’ll speak with a Loan Officer. A Loan Officer’s responsibility is to get all of the required documents from all parties and submit to the lender’s underwriters for approval. A good loan officer will explain in detail exactly what is needed, and go through all of the scenarios that may be specific to you and your credit history. For example, if someone has a bankruptcy in their past, loan programs have different requirements for the time that has passed before a home loan can be approved for that specific applicant. A decent loan officer will be able to tell you which program would be best, as well as let you know exactly what documents are needed. A better loan officer will tell you exactly how to obtain those documents. It is ultimately the loan officer’s responsibility to make sure all of the documents received are accurate and required for the approval. Once your file is submitted, the lender will usually send back what is called a Conditional Approval. The Conditional Approval is basically the lender stating that “We will approve this loan, but we need to have these conditions cleared first.” The lender will ask for a wide variety of items, usually related to income, assets, title information, Property Conditions and other miscellaneous items. Income conditions will typically be updated paystubs, verification of employment, and Tax Transcripts. There may be more required documents depending on the complexity of your file. For example, if you own your own business, then tax returns and profit and loss statements will also become a requirement for some loan programs to verify income. Asset conditions are your bank statements, 401Ks and/or IRAs. The lender requires at least the most recent 2 months of Bank Statements. Title Company documents will be covered in more depth in a later section, as these documents are a bit more complex, but they are basically protects the ownership of the property, as well as protects the lender. Property Conditions can consist of a water test, septic inspections, roof inspections, and appraisals. For FHA and USDA Loan Programs, Water tests are required if the property is on non-public water, like a well. Appraisals can usually trigger the need for additional inspections if the appraiser sees that these items are needed for the loan program. For conventional loan programs, these items are only required if the buyer wishes to have them done. Appraisals will have their own section later on, as there are a lot of information on them. For Part 5B, we’ll examine the closing process. Now that you have an idea of what homes you’d like to purchase and know a bit about the loan programs available, now it’s time to take things to the next level. To actually have an opportunity to view most of these homes, you’d need a real estate agent. However, there are some exceptions to this. If a home has an open house viewing, you do not need to show up with an agent. Your real estate agent needs to be someone you trust, as many negotiations will need to take place when you’ve settled on a home that you love. When you contact a real estate agent, confirm if they represent buyers, sellers, or both. If you are open in your viewing of homes, your agent will help you find homes that meet your specifications to the best of their ability. An agent will be willing to communicate with you in whichever way you prefer, whether it be mostly be email, or by phone calls. By having an agent you can trust, you will be able to feel at ease with the entire process. If you at all feel uncomfortable with your agent, or are unable to properly communicate due to the lack of trust, you need to find a new agent. There are agents out there that will say and do anything to get the home purchased, even if you voice concerns about whether or not this is the home for you. If it sounds like you’re being treated like another possible commission, as opposed to having your needs properly addressed, move on to another real estate agent. Do not feel married or attached to someone who does not have the best interest for you. Your Real Estate Agent is your advocate in the transaction for the home, whether you are buying or selling. You should expect professionalism from your Real Estate Agent because this Real Estate Agent will be your voice in this home transaction. The Agent will also expect you, as the client, to also do your part and remain engaged as well. Many documents and items will be asked of you, some that your real estate agent will handle, but most will be up to you to submit in a timely manner to the lender. When a real estate agent schedules a time for a viewing of a home, expect them to be on time. They will be holding you to the same level of punctuality. The terms of your contract with the real estate agent will determine if you are allowed to switch agents during the process of buying a home. If you sign any brokerage agreement, you may not be able to get a new agent without breaching that contract. Be sure to go over any contracts in detail before signing documents and agreements. If you have any questions, be sure to have the Agent explain exactly what they are having you sign. The binding agreement is usually called the “Buyer’s Broker Agreement,” so be aware if you have not signed such a document, you can switch to a different real estate agent freely. In the next section, we’ll be talking about the actual Loan Process up until Closing! Conventional loans are the loan-type you most likely already know the most about. This is the standard loan program, with requirements that change every year in accordance to Fannie Mae and Freddie Mac mortgage guidelines. Conventional loans have a bit more freedom in regards to asset documentation and what’s needed for documenting income than USDA and FHA programs, but this program also has a higher down payment requirement and higher credit scores are considerably more important for being approved. Going conventional, in comparison to FHA, means you can forego the mortgage insurance with a high enough down payment, or opt to go through private mortgage insurance instead of FHA. Conventional Loans will only work with applicants who have a credit score of 620 or higher, with a higher favor towards those in the 740+ range. At the lower spectrum, it would be difficult to be approved for a home, but it can be done. Lower credit score applications are subject to a “Loan Level Price Adjustment” which basically adds a fee based on borrower-risk. Be aware that Conventional Loans and Private Mortgage Insurance are both very credit sensitive. Conventional has a 5% minimum down-payment requirement for first-time buyers, (3% if not a first-time buyer) with 10% being the “standard” practice. Like with credit scores 740+ or higher, the borrower will be more favorable with a higher down-payment. As mentioned before, if the down-payment is high enough, a mortgage insurance may be waived. According to guidelines, the minimum down-payment that allows mortgage insurance to be waived needs to be 20%. Your mortgage payments will directly be influenced by your down-payment, and your credit score. If the borrower is buying a second residence, the down payment requirement jumps to 10%. This number can increase upwards to 20% for a minimum the more residences you are looking to purchase while still having other residences. Unlike with FHA, the Private Mortgage Insurance does not last the entire life of the loan, and can potentially be waived with a 20% or higher down-payment altogether. A current home-owner can purchase as many homes as they wish, provided they can fulfill the down-payment requirements. Lower credit scores will be penalized by additional fees called Loan Level Price Adjustments. First-time Home buyers have a 5% minimum down payment. The FHA Loan Program is a mortgage insured by the Federal Housing Administration. Borrowers opting to pay for mortgage insurance protects the lender in case the borrower ever defaults on the loan. This also protects the borrower as well, as the Federal Housing Administration would be paying for that default. Due to these guidelines, the FHA Loan Program is typically more used by first-home buyers. Similar to USDA Home Loans, FHA Homes must be safe and sanitary for the home-buyer. This means that there are requirements for water tests, as well as other important inspections such as the attic, to insure that there is proper insulation as well as evidence of leaks from roof damage. FHA Loans have a lower guideline for what’s required for a down payment than Conventional Loans. The flip-side is that there is also a required up front premium and monthly premium for the mortgage insurance through FHA. Another advantage of FHA Loans is that they are assumable. Assumable loans are essentially when the borrower takes over a seller’s home loan. These have their own advantages and disadvantages, but if the borrower is able to assume a low-interest loan, it’s generally easier to process that transaction. And lastly, if the borrower is looking to re-finance their FHA Home loan, another advantage is the ability to streamline refinance. This basically means that the borrower can refinance their home without needing to verify asset and income documentation, which shaves a lot of time in the refinance process. Lender and Borrower are both protected by purchasing through the FHA Loan Program due to Mortgage insurance. This program allows for a lower down payment on the home (3.5%). Can also use a non-occupant co-borrower to help with qualifying for the debt-to-income requirement for the loans. Due to the mortgage being insured, this cost is being paid for by the borrower. This results in increased costs due to the premium, which may be upfront and/or monthly payments. There are strict guidelines on homes being flipped and purchased through the FHA Loan Program in under 6 months. Any evidence of flipping has the possibility of making the home ineligible for purchase. Mortgage Insurance is required on all purchase and will be required for the entire life of the loan. The USDA or United States Department of Agriculture Loan Program specifically targets those willing to purchase a home in more rural areas. This government program helps lower income families or individuals obtain a home in eligible locations. There are requirements for the homes being purchased, as well as requirements for the applicant. For example, these homes must pass sanitary and safety guidelines in order to be purchased under this loan program. The loan program will approve new construction as well as existing homes, as long as they fulfill the sanitary and safety guidelines outlined in the most recent HUD Handbook, and also as long as the home resides within an eligible location. This home must be the primary dwelling being purchased, which means this home cannot be a second or third home. Additionally, any amenities that can be seen as income-producing may also disqualify a home for a USDA Loan. An example of an income-producing amenities would be a fully functional kitchen, bathroom and bedroom in the basement accompanied by a second entrance. This may give the impression that the home may be rented out in the future, therefore becoming income-producing. There are income restrictions and guidelines for obtaining a USDA Loan. The income guidelines can be found here. In addition to income guidelines, lenders will ask for household assets for those over 18 that will be residing in the new home for eligibility as well. There are more guidelines to this program, which can be found here. Loan program is available to those with lower income, as well has easier credit history/score requirements. Allows for low or even no down payment at all. Homes purchased must be sanitary and safe, which insures the buyer purchases a quality dwelling. There are income restrictions to this program. All household assets and income must be documented for eligibility. Requirements of the program dictate that the homebuyer MUST be purchasing a primary residence, and any evidence of income-producing additions to the home will make that home ineligible for purchase. Not all homes are eligible for purchase with this program. We will be discussing FHA Home Loans in the next section in similar format, including the Pros and Cons.